Next month will mark the second anniversary of Harriet Sherwood’s arrival in Israel. Those two years have made no noticeable difference to her reporting – suggesting that Sherwood’s tendency to blindly reproduce frequently unsubstantiated claims made by various individuals or organisations (often with a lot more to them than Sherwood chooses to inform her readers) is more a matter of method than lack of knowledge or experience. As we saw just a couple of months ago in the Guardian’s coverage of Khader Adnan’s hunger strike, what Sherwood (and others) omit from their reports is often just as critical to the overall picture as the words they do choose to write. 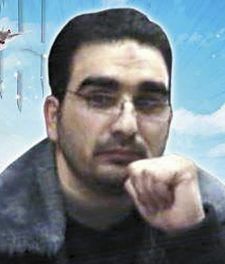 Thus Adnan – an Islamic Jihad activist seen on record recruiting suicide bombers – became ‘a baker‘ as far as Guardian readers were concerned, whilst the victims of his ‘militant group‘ (as Sherwood elected to term a proscribed terrorist organisation) remained outside the sphere of Guardian readers’ awareness. Now Sherwood is at it again, with an article from April 26th on the subject of the latest round of hunger strikes by Palestinian security prisoners held in Israeli prisons. In it, she covers two specific prisoners; Bilal Diab (aged 27 from the village of Ra’ei, south-west of Jenin) and Tha’er Halahleh (aged 34 from Hevron and one of the leaders of the hunger strike). What Sherwood refrains from informing her readers is that – like Khader Adnan – both men are members of the Islamic Jihad. Sherwood quotes ‘Addameer’ in her article, describing it as a ‘prisoners’ rights group’ but declining to mention the organisation’s political aspects and its use of Palestinian prisoners as a means of political leverage. This interview (worth reading in its entirety) with Addameer legal researcher Mourad Jadallah gives an idea of the group’s political affiliations and the significance of the subject of Palestinian prisoners in Israeli prisons in internal Palestinian political power struggles. Asa Winstanley: Palestinian hunger strikes seems to have developed a lot recently. It’s an old tactic, but there seems to be a new focus on it. Mourad Jadallah: We have days for hunger strike for prisoners from Fatah and [then] twenty other days for prisoners from the PFLP [Popular Front for the Liberation of Palestine], which means that also the prisoners’ movement is not united like it was [in the past]. So what happened outside the prisons is reflected inside the prisons’ movement. AW: The factional divisions you mean? MJ: Yeah. Like today — this is something we don’t want to talk about but maybe for The Electronic Intifada we can say [that] until today we are not sure that the prisoners of Fatah will participate [in the hunger strike starting tomorrow]. This is one side of how we can explain all these hunger strikes in the prison. From one side, the peace process failed to release the prisoners … And the other side, you have the [prisoners] exchange. Most of the prisoners released … they are affiliated to Hamas. So the other prisoners said, OK, what we have [are] political factions who just look out for their own prisoners and if we are from other parties nobody will ask for us and the peace process can’t release all the prisoners … The prisoners decided and they understood that they have to fight for themselves. AW: Most of the prisoners released in the exchange were from Hamas? MJ: Especially in the first phase of the release — 80 percent of them were from Hamas. MJ: This is what Hamas wanted, and also the majority of prisoners today, they belong to Hamas. This is the reality even after the exchange. And we know that Fatah and the PLO [Palestine Liberation Organization], when they release the prisoners, they look for the Fatah prisoners, they want to keep this legitimacy at least in the eyes of the Fatah prisoners. So everyone is saying, OK, Hamas succeeded to release 1,000 Palestinian prisoners — 80 percent of the first phase, which is like 450, they were Hamas. And the others, who were serving short sentences, were from different parties. So maybe it’s time for others to do the same as Hamas and release their prisoners. … Since the beginning of the year there have been some short hunger strikes … Then suddenly you have the PFLP prisoners who went on an open hunger strike for twenty days, then Hamas came and did the prisoner swap … And then Khader Adnan put all the focus on Islamic Jihad. So you have a competition between the political parties. At some point you have the focus on the Fatah prisoners. An additional aspect connecting this latest round of hunger strikes to its many predecessors -which Sherwood also completely ignores – is its role in the ongoing attempt by some Palestinian groups (including organizations such as Addameer) to have people serving sentences due to convictions for terrorism recognized as political prisoners. In fact, as Addameer’s director Sahar Francis states in this article, they already view all Palestinian security prisoners as ‘political’ – even leaders of terrorist groups such as Ahmed Sa’adat of the PFLP and those convicted of acts of terror. Sherwood’s next quote in her article comes from Shawan Jabarin of Al Haq. As was previously pointed out by CiF Watch when Sherwood wrote a puff piece about ‘Defence of Children International – Palestine’ in January 2012, Jabarin (who sits on the board of DCI-Pal together with Sahar Francis of Addameer) is linked to the proscribed terrorist organization the PFLP. If – as with almost everything she writes about – Sherwood were not so busy endeavoring to reduce the subject to simplistic concepts of innocent, helpless Palestinians and bad, powerful Israelis, she might have been able to broaden her readers’ knowledge on the subject of these repeated hunger strikes as part of a comprehensive strategy to try to secure the release of prisoners. She could have pointed out the connections between the well-organized strikes and the calls by Khaled Mashaal and other prominent members of Hamas such as Ismail Haniyeh, Ahmed Bahar and Ismail Radwan to kidnap more Israeli soldiers as a ‘second front’ in the bid for the release of convicted terrorists from Israeli prisons. She might have mentioned the statements by Issa Qaraqa (PA Minister of Prisoner Affairs) and PLO executive committee member Hanan Ashrawi on the subject of the coordinated hunger strike – both of which called for ‘internationalization’ of the issue – adding further evidence to the fact that rather than some kind of spontaneous reaction to specific grievances, the strike is part of a co-ordinated political campaign, as the between Hamas and Fatah leaders in its promotion also indicates. “Hamas political chief Khaled Mashaal and Palestinian Authority President Mahmoud Abbas spoke by telephone Thursday about rallying Palestinians to support Palestinian prisoners in their hunger strike against certain Israeli prison policies, such as administrative detention, Palestinian news agency Ma’an reported Friday, citing a Hamas statement. But unfortunately for anyone who actually relies upon the Guardian for news and information about what goes on in Israel, they will learn nothing of the wider context of the hunger strikes in Israeli prisons because Harriet Sherwood apparently deems it unnecessary for readers to be aware of the connections of her subjects and interviewees to terror groups or the political campaigns of which the strikes are part and parcel. Instead, she’s busy piling on the pathos; slowly but steadily narrowing her readers’ range of thought in true Newspeak fashion. Harriet is such a pitiful little creature. She spends time in Israel enjoying the freedoms that Israeli democracy give to her as a foreign citizen and all she can see are some negative aspects of israel. Add to that, her complete inability to discern truth, disregard of any context which does not fit the Guardian World View and blind acceptance of anything said to her by those opposing peace with Israel, and there you have it. Lightweight mis representative ‘journalism’ at its very worst. Harriet was well chosen by her Guardian masters. Sherwood is a highly respected journalist. I’m under the feeling that you’re horribly jealous because you cannot live the exciting life of a foreign correspondent, aren’t you? Interesting that you should quote from Orwell, who stood out from much left-wing British opinion in the 1940s in being opposed to Zionism and viewing it as an aspect of European colonialism. In 1945, Orwell wrote that “few English people realise that the Palestine issue is partly a colour issue and that an Indian nationalist, for example, would probably side with the Arabs”. Anti-Zionist, but not an anti-semite then…. I wonder how he would be seen by today’s CifWatchers. I fully support the hunger stikes and hope the murderers follow them all the way to the end. This silly women writes very negative articles about Israel is because …..WE ALLOW HER TO………. This idiot should do us all a favor and join these hunger strikers……To the Bitter end……..
Sencar – if it’s such a “colour issue”, how come Israel and India are so close? Could it be because it’s NOT a “colour issue” at ALL? Could it be because (mostly) brown-skinned Indians and diversely-pigmented Israelis are both under vicious existential threat from people (of various skin colours) who subscribe to a very particular politico-religious supremacist ideology? An ideology that, at its core, involves wiping the Other off the face of the planet? Katya what sencar doesn’t realise is that those ‘Indian nationalists’ in the 1940s would have included the ones who went on to form their own state and split off from India. That state is known, today, as Pakistan. I think we all know why there are those in Pakistan who are now, and have always been, opposed to the existence of Israel. Of course sencar and his repulsive kind don’t want to openly admit it. As you say, Gerald, the independence movement, including the Congress Party, involved many muslims. The conflict and partition post-1948 was tragic. I think you’ll find that muslim Indian politicians at that time gave little thought to Zionist ambitions; they had too much on their plate at home. Oh dear sencar your knowledge of the Indian sub-continent is as woeful as your knowledge of the Middle East. I know you will find that for decades before, and certainly after the Balfour Declaration, 1948 Muslim politicians in India were among the most vociferous in their opposition to the Jewish people returning to their homeland of Israel. I think you are confusing 1945 with 2012, Katya. In 1945 Orwell saw a demand, largely from white, European Jews, for a colony in a mostly Arabic territory. Obviously things have moved on since then in terms of the immigration of non-European Jews and Israel’s seeking friendly nations where it can find them. As so often, Orwell, though clearly a socialist, took a view of Zionism independent of the prevailing left-wing trend. His likening of the Palestinian cause to the fight for Indian independence still rings true today. Do you really believe the rubbish you write? The only thing India and Israel have in common was they both were invaded by Islamic invaders in the course of their history. Orwell compared the British colonialists in Palestine to the same colonialists in India. In 1945 only diehard Nazis considered the Jews colinialists. the war, and that humane and enlightened people are not immune to it. A pity that old George didn’t know you sencar. You could have been mentioned as a perfect example. This must be a joke, peterthehungarian. You have simply taken quotes from the essay I gave you to demonstrate that Orwell wasn’t anti-semitic. He was, however, anti-Ziionist. No sencar Orwell was an anti-nationalist and Zionism being a national liberation movement Orwell was against it – if you’d read the essay having your Jew hating glasses taken down you could have seen that he was against African, Indian and any other form of nationalism too. While he gave a perfect description of a socialist society he had made a lot of mistakes – his views on national liberation among others. What a magnificent piece of work that Orwell essay is! It should be compulsory reading for all – especially for all the Guardianistas and their fellow travellers who are constantly bending over backwards to say “of course, I am not an antisemite, but…” Very little has changed in the last 70 years. For example, I was working (in the late 90s) in a London office full of educated, enlightened, creative people and got on well with them all. Until – at one Xmas party, when drink had loosened some inhibitions, one senior member of staff got up and sang a song along the lines of “Don’t let your son marry Sadie, Mrs Worthington”. You can guess its content.